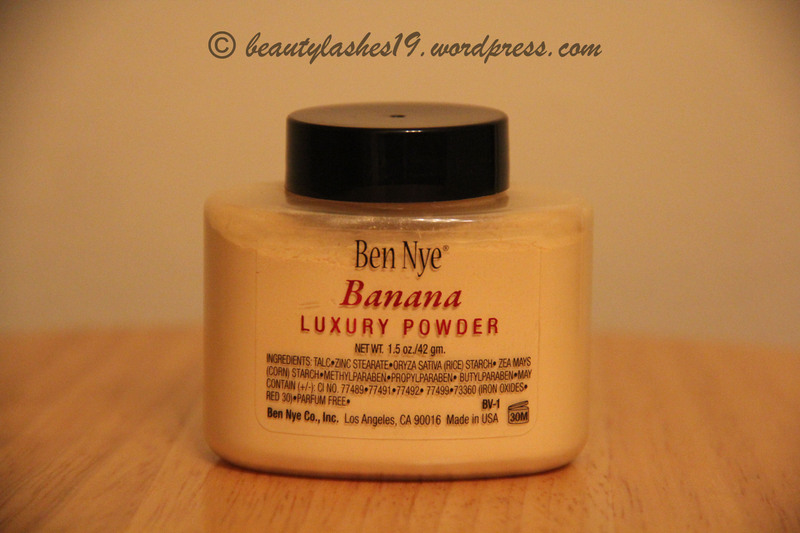 I recently purchased the Ben Nye Banana luxury powder after reading reviews and hearing people rave about it on YouTube.. In the USA, its relatively hard to find this product.. I purchased this on Amazon.com for USD $19.00 (1.5 oz of product).. 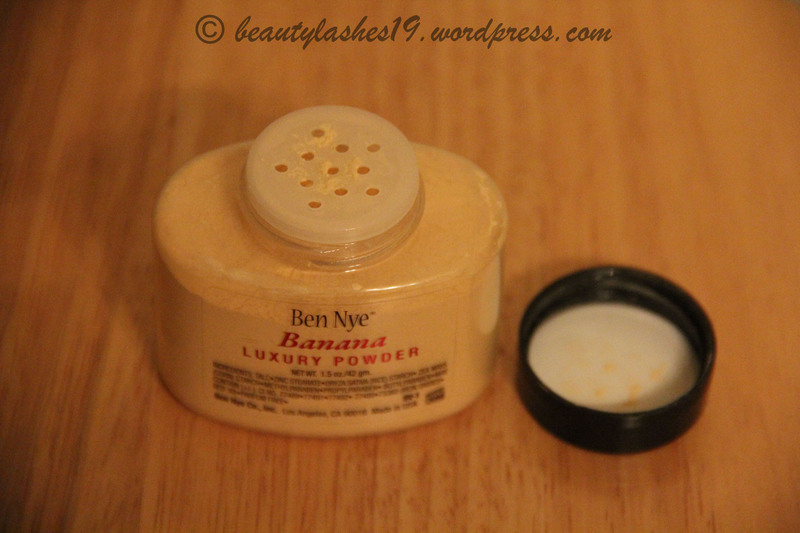 The Ben Nye luxury powder comes in several shades to choose from – ranging from very fair to deep ebony skin… You will most likely find one for your skin tone.. 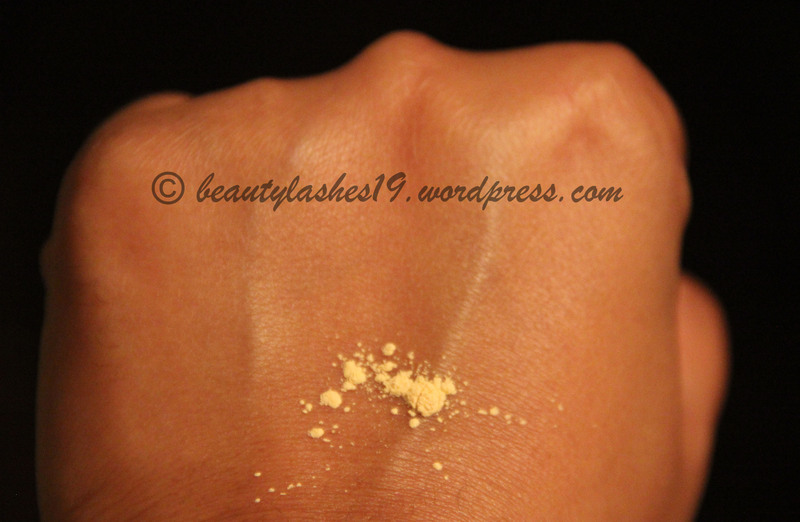 The powder comes in a plastic container that’s easy to travel with.. It has a sifter at the top which enables you to get a small amount of product for use.. I would recommend to close the cap and then invert the container.. This will result in a small amount coming out of the container… and this is usually sufficient for me to set my under eye concealer.. If you need larger amounts, just be careful when you tilt the container since a lot of powder can come out at a time, especially when the container is full.. 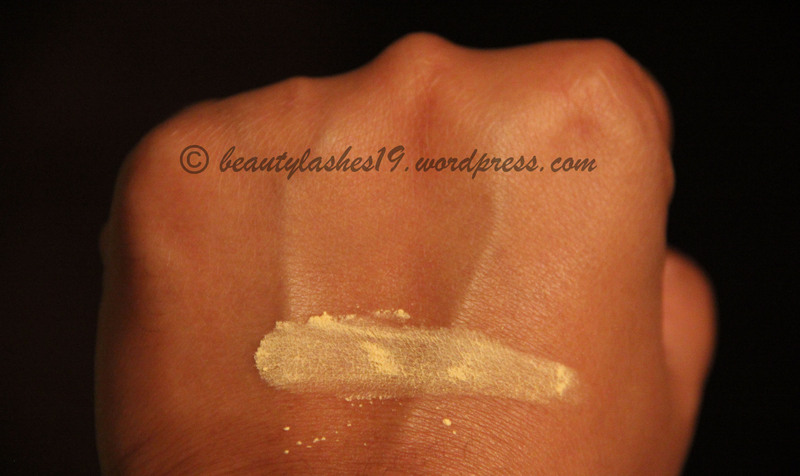 The shade ‘Banana’ is a good yellow-based finely milled powder that leaves a matte finish on the skin.. 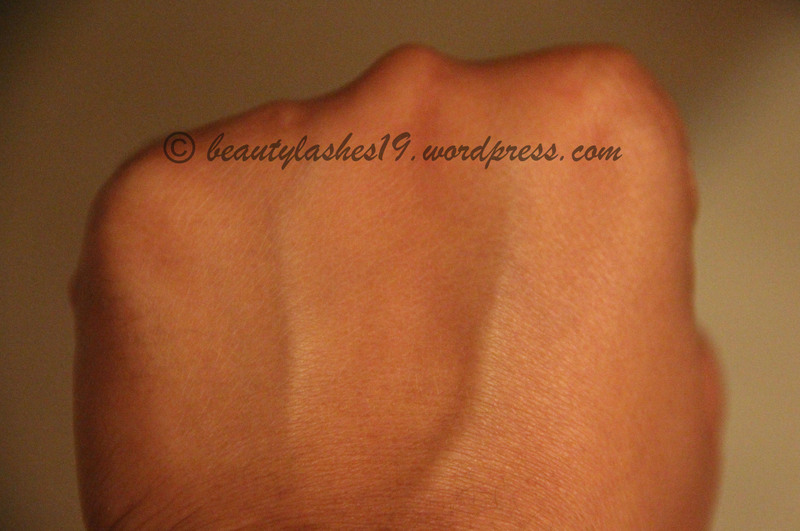 It does not settle into fine lines and does not have any issues of white cast when using flash photography.. 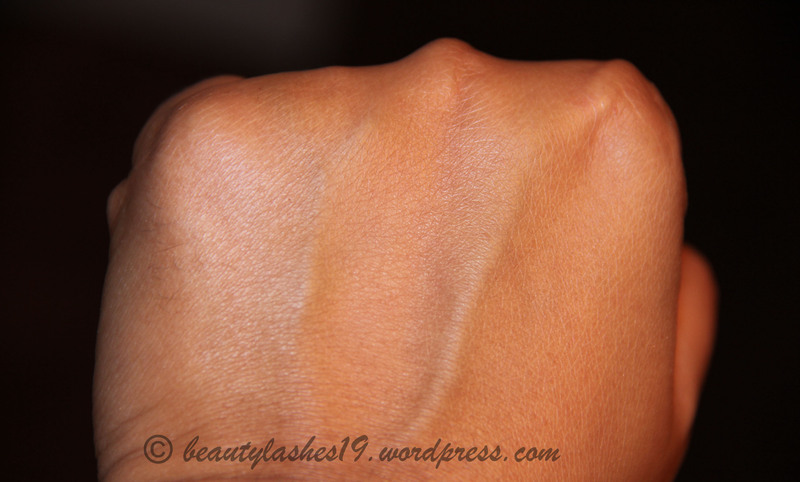 It helps brighten my NC40-NC42 skin without looking too light and is almost invisible on the skin.. (Note: Skin on my hands is a few shades darker than my face)..
You can see in the images above that the powder blended in seamlessly without an ashy look.. Also, in the last image using flash, it does not have a white cast like most setting powders.. MUFE HD powder is notorious for that.. I would recommend trying it if you are running out of a setting powder and would like to try something new..